Effective October 18, 2018, the Veterans Administration rules as to the enhanced pension benefit referred to as “Aid and Attendance” changed significantly. Among the changes in the new rules are a three-year “look back” and a “divestment.” These concepts have been used in the Medicaid rules for a long time; however, prior to the 18th of October, the VA had not penalized an applicant for giving assets away, or putting assets into a trust, prior to applying for the Veterans’ benefit. Under the new rules, the term “divestment” refers to giving assets away for less than fair market value or making the assets unavailable by placing them in an irrevocable trust. Prior to the new rule, the VA did not impose a penalty for having made transfers or gifts just prior to applying for the benefit. Under the new rules, there will be a three-year “look back” as to these types of transactions. This means that the VA will review any transfers within the three years prior to applying for benefits. If the VA finds transfers, they will impose a penalty period for these transfers, and the applicant will not receive benefits. The value of the assets transferred will determine the length of this penalty period. In addition to the above changes, as to asset transfers, the VA has implemented a specific asset limit in determining eligibility. Prior to the new rules, they had a complicated formula that was used to determine the net worth an applicant could retain. With the new rule, this asset limit is set at $123,600.00 of countable assets. This number will adjust each year with the cost of living. Another change in the VA rules is the exclusion of the primary residence. While the primary residence remains an excluded asset, the VA now limits the determination of a person’s primary residence to the house and surrounding land, up to two acres. Any land in excess of the two acres will be counted in determining the applicant’s net worth. This article provides information on some of the major changes in the VA rules. 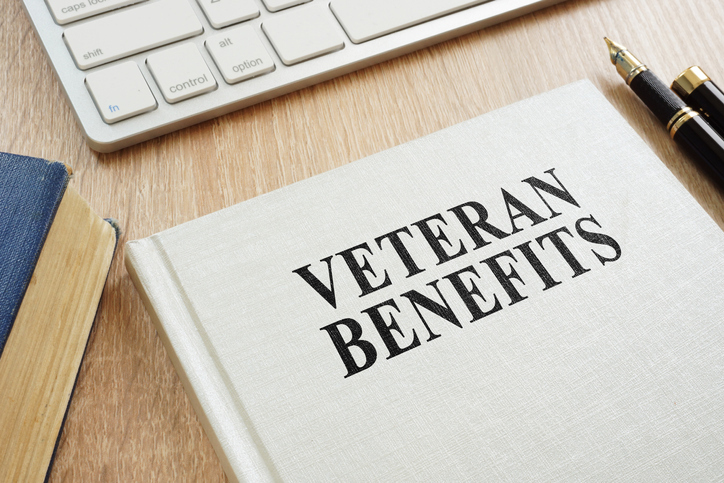 An applicant should discuss all the changes with someone certified in Veterans Administration to determine whether they would be eligible for the Aid and Attendance benefit. Sharon A. Burgess and Danelle E. Harrington practice in the areas of probate/estate planning, long term care planning and elder law, and business and real estate transactions at SMITH BOVILL, P.C. Sharon is VA certified to discuss these benefits. Their articles are intended to introduce various issues arising within these fields of practice and are not intended to replace individual legal advice. If you have questions, please contact Sharon or Danelle at one of the firm’s two convenient office locations in Frankenmuth and Saginaw. Previous PostMedicare Part DNext PostNew Partners are Announced at Smith Bovill, P.C.